Located in the swanky surroundings of St. Julian’s, the Casino at Portomaso now stands as a leading entertainment hub within the borders of Malta. Recently refurbished and managed by the Tumas Gaming Ltd, the sprawling entertainment complex is now home to some of the finest casino tables, dining tables and dancing on tables in Malta. Spanning an area of 1,100 square metres and housing more than 150 casino games, Casino at Portomaso has operating in the shadows of the imposing Portomaso Tower since 2001 and during that time it’s grown in stature. From a budding complex offering a smattering of gaming options, to a global entertainment venue that now welcomes some of the biggest names in the poker world, Casino at Portomaso has quickly become one of the go to players for European grinders. One of the reasons Casino at Portomaso has become a leading light in the global casino world over the last few years is the introduction of a poker room. Riding the wave of momentum initiated by the online poker world, the casino first opened the doors to its poker room in 2009. Although nothing more than a few tables at that time, the poker room has since evolved into a well-appointed venue that’s now capable of hosting international events. Indeed, with facilities bold enough to cater to hundreds of visiting players, the poker room was recently chosen to host PokerStars’ European Poker Tour (EPT). 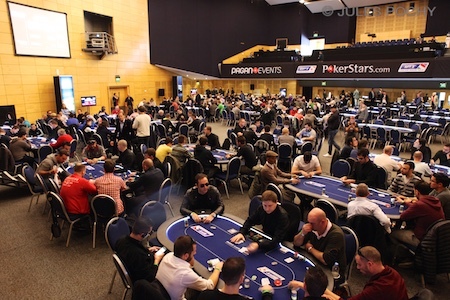 Known as one of the most prestigious tournament festivals in the poker world, the EPT’s decision to set-up camp in Malta was as much of a testament to the Casino at Portomaso as a boost for the festival itself. 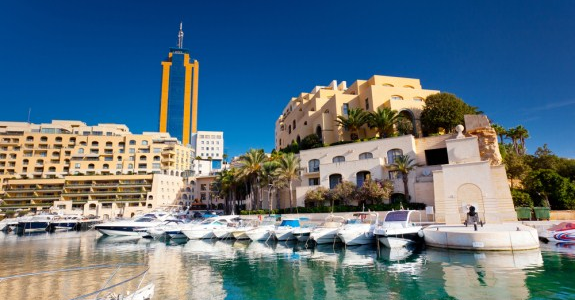 In fact, such was the cohesion between the EPT and Malta’s leading casino that the EPT Main Event attracted an impressive 895 players in 2014. Each paying €5,300 to join the action, the tournament generated a prizepool of more than €4.3 million which meant the eventual winner, Jean Montury, walked away with €687,400. Naturally, the impact of a world class event has caused a ripple effect that’s given Malta’s poker community a new lease on life. Led by the Casino at Portomaso, local poker tournaments are now all the rage on the island. Following the example set by PokerStars.com popular Texas Hold’em tournaments that are played during the EPT, Hold’em is now the main gaming option inside Malta’s leading casino. Indeed, this variant is not only one of the most exciting in all of poker, but the most popular. Regardless of whether you’re anteing up in an EPT Main Event or the Casino at Portomaso’s €110 weekly event, the name of the game is Texas Hold’em and that means you need to understand the format before you ante-up. Because of this, it’s important to become an expert in the nuances of the game before you ante-up. Fortunately, the game is one that literally takes a few minutes to learn. Unfortunately, however, it is said that it takes a lifetime to master and that means you’ll need to put in some hours on the felt before you’re proficient enough to compete with the likes of Jean Montury. 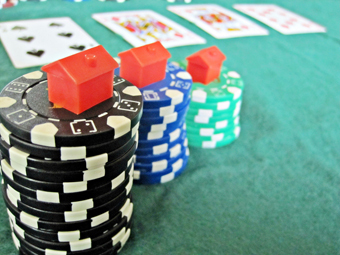 While it’s fair to say that poker has pushed the Casino at Portomaso to new highs in the last two years, it’s also fair to say that an empire built solely on poker and casino chips isn’t one that can last forever. Fortunately, the casino isn’t a one trick pony and while the EPT has helped enhance its image, there’s a plethora of additional entertainment options away from the gaming floor. Indeed, beyond the blackjack tables and roulette wheels, casino patrons can also enjoy a sumptuous meal in the Casino Brassiere. Featuring flavours from across the Mediterranean, the restaurant is equipped to satisfy palates of all persuasions with a variety of fayre. Fresh fish, perfect pasta and delectable desserts are all complimented by a full bar (one that can rival any club in Malta) offering straight shots and classy cocktails. Anyone that’s been to one of the larger casinos in Las Vegas will know about the symbiotic relationship between food and gambling, and inside Casino at Portomaso the people behind the scenes have struck the perfect balance between the two. Beyond the gaming tables and smorgasbord of dining options, Casino at Portomaso is located just a stone’s throw from the famous Portomaso Marina which is home to some of the most exotic yachts you’ll ever see. Although a separate entity to the casino, the marina provides the perfect accompaniment to the casino’s air of class as well as a final bow to a neatly wrapped package of entertainment. Understanding its current position in the casino world, the decision makers at Portomaso recently designed to introduce a junket programme. Known colloquially as hospitality packages, these junkets give high rollers more bang for their buck inside the casino. For a simple deposit, suitably qualified players can get a refund on their travel expenses, stay in the lap of luxury of the five-star Hilton Malta and receive VIP treatment inside the casino. From free bets, exclusive dining areas and complimentary drinks at the bar, the junket programme is designed to give well-traveled gamblers a taste of Las Vegas in the middle of Malta. Regardless of whether you’re a professional poker player, a keen amateur or someone that’s looking for a new form of entertainment, Casino at Portomaso is a must try venue. It doesn’t matter if you’re into poker and pasta or drinking and dancing, the casino literally has everything thrill seekers could wish for and that’s why more people are now paying attention to Malta’s leading casino. Indeed, as more companies begin to utilise the casino’s facilities, the reputation of Malta as an entertainment venue will continue to grow. In fact, alongside the Malta International Jazz Festival and Street Art Festival, the Casino at Portomaso and its events are now becoming an integral part of the Maltese entertainment calendar.